It’s one of my favorite stories from Greek myth. But is this name even a little bit wearable? 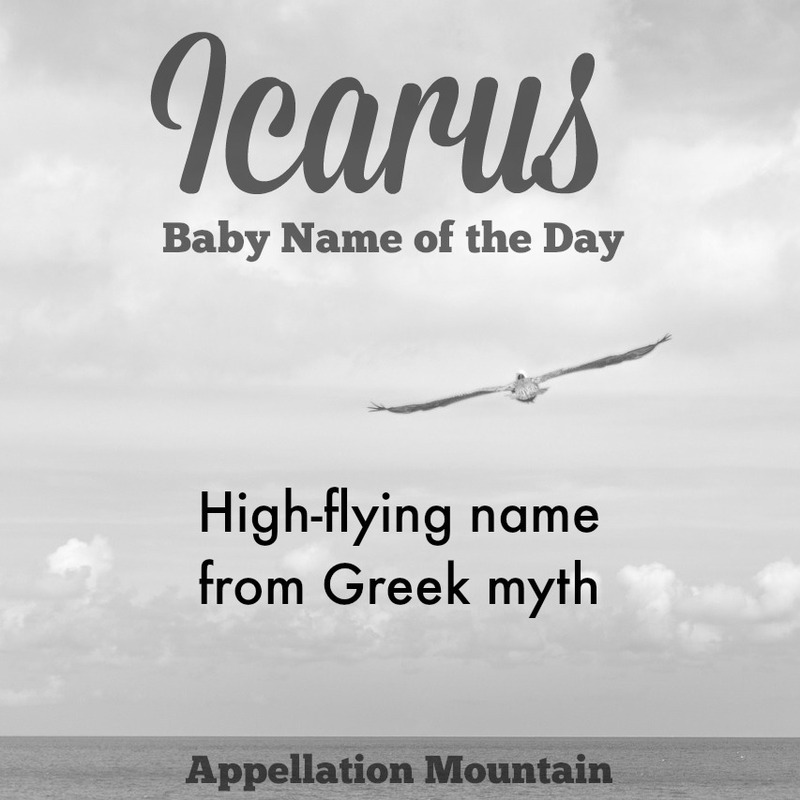 Out-There Baby Name Week continues with Icarus as our Baby Name of the Day. No one is named Icarus. The name has never been given to even five children in a single year. There are a few men called Icarus in various official US records, including the Census. Those that do bear the name appear to be of Greek heritage. Icarus is Greek – Ikaros – and may mean follower. Almost everyone recognizes Icarus. His story is famous, a cautionary tale frequently depicted in art. The story goes like this: Daedalus was a skilled craftsman who built the Labyrinth that housed the Minotaur for King Minos of Crete. The Minotaur, of course, was a horrible, man-eating beast. Every nine years, fourteen of Athens’ most promising youth – seven young men and seven young women – were sent to Crete as a tribute, where they were stranded in the Labyrinth to await death by Minotaur. Along came heroic Theseus, the King’s son, who volunteered as tribute, and set sail for Crete. By now Minos had a lovely daughter who fell for the handsome prince. Her name was Ariadne, and she had the secrets of the Labyrinth from Daedalus himself: carry a ball of string, and always head forward and down. 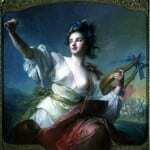 Theseus was successful, and Ariadne skipped town with her hero. Meanwhile, Minos blamed Daedalus for Theseus’ victory. He and his son Icarus were imprisoned. Even held captive, Daedalus managed to find a way to craft a means of escape: two pairs of wings, large enough to carry both him and his son from the prison. Father and son escape, and they fly many miles from their prison. Until Icarus forgets the warning his father gave him: don’t fly too close to the sun, or the heat will melt the wax holding the feathers together. Icarus soars, and then plummets into the sea. It’s the part that we all remember – this is what happens if you fly too high. And yet, there’s another side to the story that we often overlook: Daedalus also warned his son not to fly too low, as foam from the sea could soak the feathers and drag him down. We tend to see the story as one of reckless ambition. And yet in 2015, there’s another way to read it: Icarus refused to be held back and dared to risk it all. Seth Godin’s 2012 work The Icarus Deception made that a rallying cry. It’s a reading that Isadora suggested, too. The Icarian Sea is said to be where Icarus lost his life. 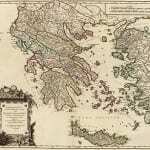 The Greek island of Icaria is also named in his memory. Icarus has been held back by two factors: his image as one whose over-reaching led to his doom, and, of course, that first syllable. Ick. And yet, in 2015, with ancient names like Atticus on the rise, Icarus is no longer completely out of the question. If you’re after a unique middle, Icarus might be an interesting one to ponder. If you’re truly daring? Step away from Ajax and Django, and shortlist Icarus. My son is called Icarus 🙂 I think he’s the only one this year in the uk. 5 boys were named icarus in 2011, 6 in 2012, and 5 in 2013 according to US baby name stats. Currently rated at 11225 of baby names in the US because of that. You’re right, winchesterseed. That’s still pretty rare, but it’s definitely not zero … my apologies! Gosh you’d hope he never fell into the sea or something, or you’d feel slightly responsible for the aptness. 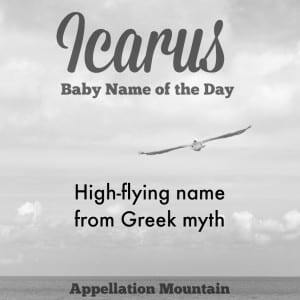 I’m not sure Icarus is likely to catch on — especially with “Icky” being such a natural nickname. Daedalus, on the other hand — especially with its modern literary references! — is pretty cool.